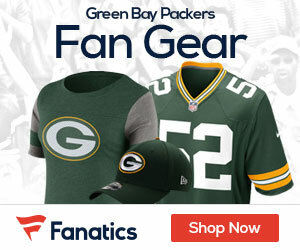 « Packers Fans! Enter The New Era Photo Day Contest! While B.J. 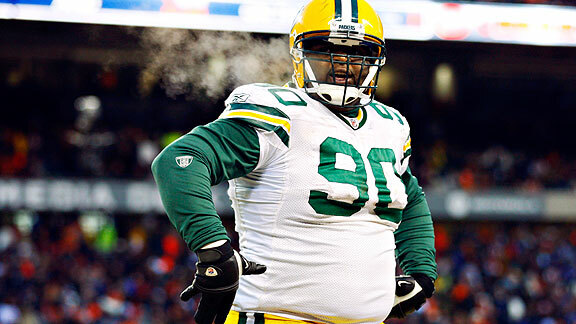 Raji remains confident the Packers will “do right” by him, it appears any talks relating to a contract extension will have to wait until after the 2013 season, Weston Hodkiewicz of the Green Bay Press-Gazette reports. According to a report from NFL Network’s Ian Rapoport, the organization plans to let the 6-foot-2, 337-pound defensive tackle play out the fifth and final year of his rookie contract before continuing talks on a long-term extension. Sources indicated earlier this offseason, the Packers opened discussions with Raji’s agent, David Dunn, but Rapoport reports those conversations have shelved as they want the 26-year-old to “earn” a long-term commitment from the franchise. During last Tuesday’s organized team activities, Raji said he wasn’t concerned about his contract situation and confident the Packers would take care of him like they did with two other Dunn clients, quarterback Aaron Rodgers and linebacker Clay Matthews, earlier this offseason.